It is always a nice experience to see Ram Gopal Verma film when he is in full form. He trademarked some camera angles and way of filming. Ab Tak Chhappan -2 is not the film by him. It is directed by Aejaz Gulab. But it reminds of Ram Gopal Verma at various places. Following the typical commercial movie path, he is able to create a watchable film. The film is not scary or bloody (sometimes the violence in the film makes it disgusting, this film have avoided it). No doubt, there are action scenes, but they are not following in wrong arena. Neither the film have skin show or objectification. The film however suffers with some down points like a few half backed (and half baked too) characters, and kind of predictable path the movie goes with. The movie haven’t have genuine place for any song, and hence, the director wisely avoided it. It is comparatively a short thriller which movies in linear way. It makes it much better than some of the recent mindless yet hit movies. If we talk about this movie, as said earlier, he looks natural. Ashutosh Rana possess the persona for the encounter specialist’s role he is doing. His acting skills are above any questions. His role though needed to be written in better ways. He leaves his impact however. Mohan Agashe and Dilip Prabhavalkar are two other fantastic actors. They make their presence felt in smaller roles. 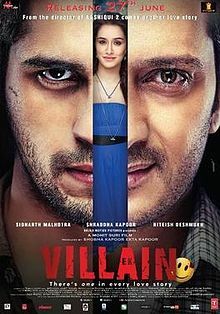 Vikram Gokhle is simply superb in his role. We have seen his acting in many films (and even in TV serials like Udaan, Akbar Birbal and others) and he was found convincing always. The movie is no exception. Though he doesn’t have any melodramatic scenes, he performs his stuff honestly. Raj Zutshi and Govind Namdev has almost nothing to do in this movie. Tanmay (as Aman – Sadhu Agashe’s son) have small role, which he plays well. 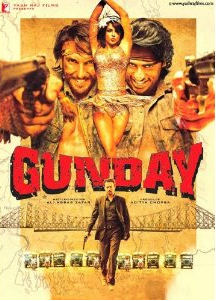 Gul Panag have worked nicely in several movies, in this movie however he got a couple of scenes where she need to act nicely, she is good though. It summaries that the performances almost good to for. Now let us talk about the other aspects. The script is linear and almost predictable. There is suspense in the movie but it is predictable (especially for the Bollywood movie lovers). The beauty of the script however lies in its simplicity though. We however definitely feel that the roles of Suryakant and Shalu could have been written in better ways. The locations used in various scenes are authentic and realistic. The scenes from Goa are far different from what you have seen in the other movies. The hunt for a criminal on boats (parked) is nicely filmed. You will like the camera angles and effects in several scenes, for example, the scene in the hospital where Sadhu forces a goon (in Burkha) to go to the roof and on the way throws the cloth. The fights require not SFX or larger-than-the-life filming. It looks realistic. The background score plays a vital role in such movies. It it go wrong, the impact of various scenes (and hence overall movie) may have been ruined. The background music is quite good in “Ab Tak Chhappan – 2”. This movie doesn’t have many encounter scenes, but all of them are filmed nicely. They are thrilling enough. The entire movie is in the narration by the protagonist, which is effective. The wardrobe here doesn’t require a fashion designer. It should however expected to look good and realistic, and it is as expected. Let us not forget to give credit to the director his honest job, scriptwriter for his good script (which could have been better) and cameraman for the visuals. Sadhu Agashe, the encounter specialist is living have given up with the system. After losing his wife and treated unfairly by the system, he lives his life in Goa with his son Aman. In Mumbai, the criminal situations are getting worse. The ministry felt the requirement of a squad to clean up the city (from the criminals). Sadhu Agashe is definitely one of their choice. He was however not ready to return to the system which treated him in ill manner. When all the ways to get him back to the force failed, everyone thought he will not come back to the force. However Aman was able to convince him. Chief Minister Anna Saheb and Home Minister Jagirdar gave him the powers he needed and introduced him to his team. He started doing his work. Rest of the film is about his journey and his gains and losses during the same. Predictable yet good thriller. Much better than some of hit movies. Go for simple execution and some good performances. Some half backed roles and scene will disappoint you a little though. No vulgarity and senseless brutality makes it better watch.